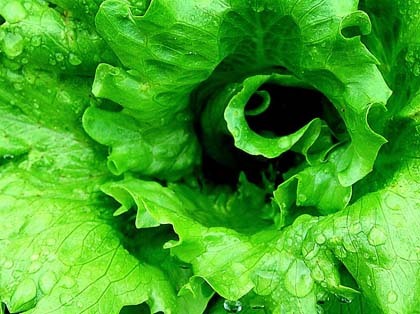 Most gardeners and farmers group lettuce into four different types. Romaine (cos) is a tall lettuce with rigid leaves that are tightly packed together. The leaves are dark green, with the inner leaves having less color. Some consider romaine the most flavorful lettuce variety. Crisphead lettuce is a very common variety of lettuce to find in your grocery store. Iceberg lettuce is a crisphead lettuce. The leaves are thin, light green, and densely packed together. It is best to grow this lettuce in cooler weather or start with transplants because of problems with bolting. Butterhead lettuce is smaller than other lettuce varieties. The leaves are not as tightly packed in as with crisphead lettuce, and the leaves are more tender than crisphead leaves. This lettuce has a smooth, light, and some would say “buttery” flavor. Leaf lettuces are the most varied of the lettuce varieties. Colors can vary from red to dark green. The leaves can be curly or ruffled. This is a favorite of home gardeners as it matures quickly once planted. Below, we’ve listed a few of our favorite lettuce varieties. 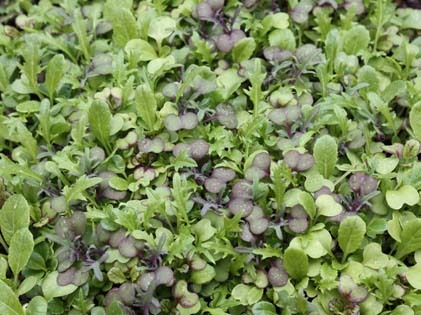 Check with your extension agent and your local nursery for lettuce varieties that will work best for your area. Become a fan of Vegetable Gardening on Facebook to share your tips and get tips from others who love growing squash and other vegetables. JJ Redden on Got Lettuce Growing Questions? Carole on Got Lettuce Growing Questions?